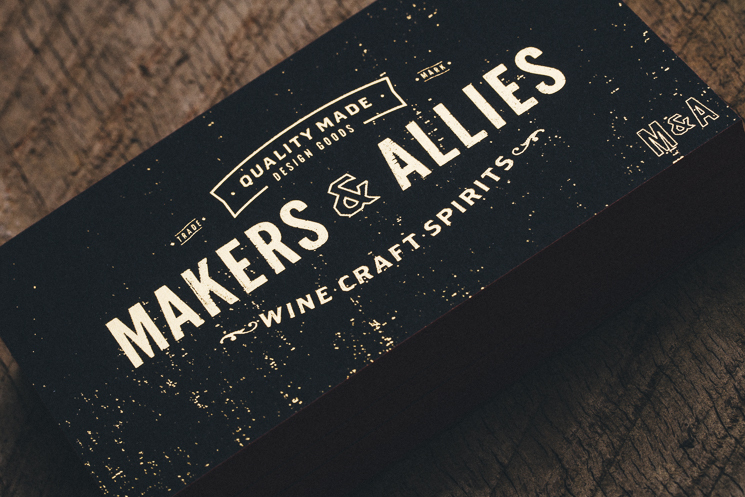 Makers & Allies designed these business cards for their corporate branding as an award-winning design and branding studio producing exclusively for the wine, craft & spirits industry, based in San Luis Obispo, California. 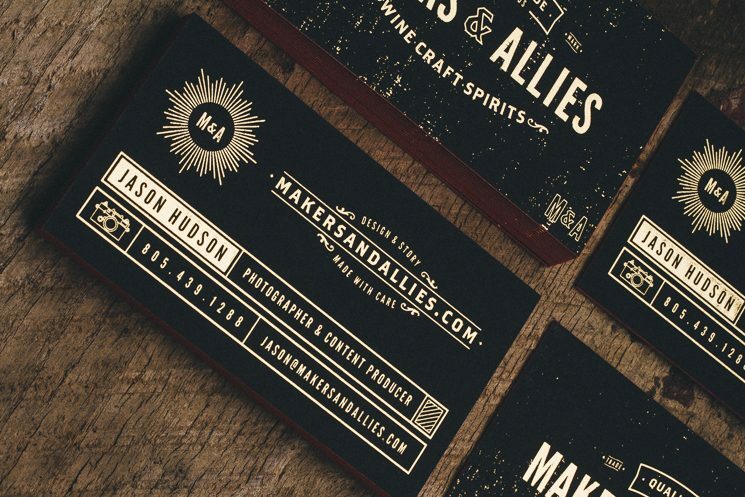 “When people hire you as a creative studio that specializes in packaging and print, you better have some killer business cards.” Makers & Allies knows it and they confirmed this by creating an astonishing, elegant business card design that’s not only memorable but stand out from the crowd as well. 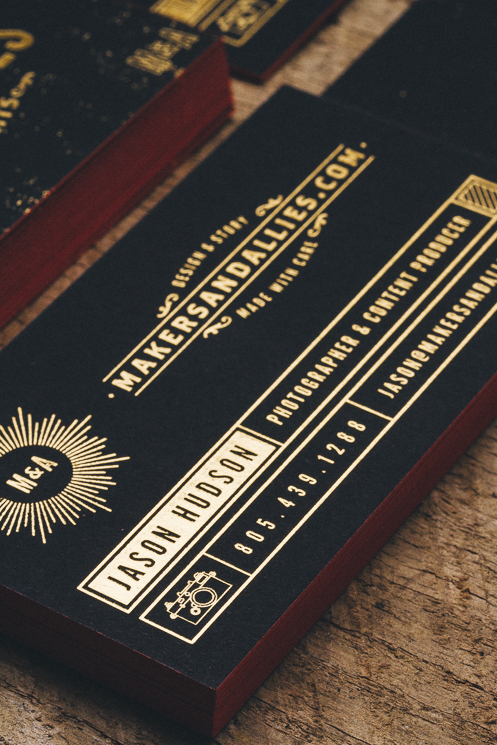 These business cards were printed by Studio on Fire in Minneapolis, Minnesota. 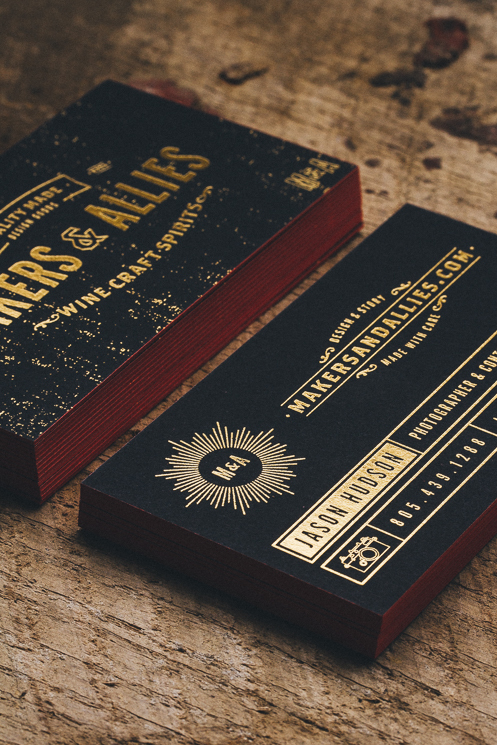 The material used is Black Neenah paper with gold foil stamping on two sides and fluorescent coral PMS on the edges. 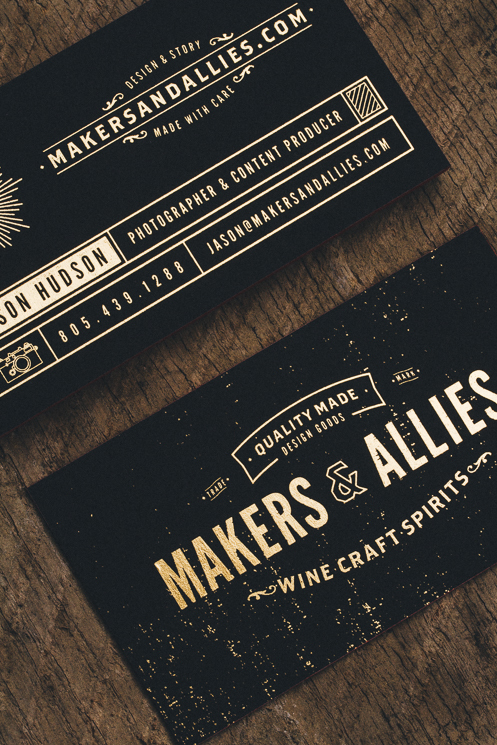 “Their attention to detail and quality is up there with the best boutique letterpress companies in the country,” Makers & Allies complimented. This is an extraordinary visual identity that will no doubt leave a lasting impression!